Project: Where (not) to go? press to exit project space has the honor to announce the participation in the 7th edition of the Contemporary Istanbul, the premium and largest art fair in Turkey, running from 22 – 25 November 2012 at the Istanbul Convention and Exhibition Center (ICEC). The fair will offer a comprehensive range of art works from around 600 artists and around 100 local and international galleries and non – profit spaces. Through the New Horizons: Central & Eastern Europe section which explores contemporary artistic expression of Central and Eastern Europe, Contemporary Istanbul will play host to galleries and artists, curators, publications, art critics and collectors from the region. OBJE'CT is the first book of Book for Artists Series of the Zorlu Center Art Collection. Curated by Basak Senova, OBJE'CT is also a humble attempt to address the specific characteristics, unfolding issues, and the line of the Zorlu Center Art Collection through Calovski's line of thinking and working. 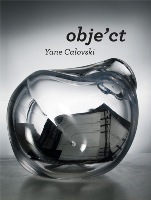 Concurrently, it is the first comprehensive publication focusing on the work of artist Yane Calovski, who produced an object for this collection in 2011. Calovski's conceptual work renders the incompleteness and lapsing of narratives and history. Therefore, in the same manner of an archaeologist, he is obsessed with researching and processing archives. His work is nurtured by the findings and missing links in an archive of any kind; sometimes the work is embodied in personal archives and narratives, and sometimes the work is set up in the public realm. 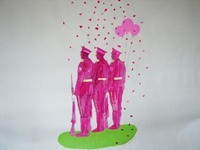 Albeit present in the contemporary art for decades, the topic of gender issues continues to be prevalent mostly because of its understated complexity. In her new work entitled This is the land in which young girls burst into laugher without too much hesitation Hristina Ivanoska keeps on interpreting the idea of the possible crossovers between the conditioned gender categories in her very own individual manner. The author chose the inner dynamic organic balance of the cell (box) as a module to demonstrate her visualization of identity development. External activity | press to exit project space (MK)| Art Spaces Directory (publication) | published by New Museum (NYC) | The Art Spaces Directory is an international guide to the sites where contemporary art and artists are nurtured, interrogated, and sustained. Building on the Museum as Hub model, the 2012 New Museum Triennial, "The Ungovernables," incorporated lengthy consultation with a network of curators, organizations, and artists from around the world, including Museum as Hub partners. Their contributions have inspired the Art Spaces Directory, a resource guide to over 400 independent art spaces from ninety-six countries around the world. External activity | Presentation of press to exit project space (MK) as part of Moca of the Month series | GAM – Global Art and the Museum (DE) | Interview with Yane Calovski, artistic director of press to exit project space, about the challenge of opening and managing an experimental art space off the traditional poles for contemporary art.